FORT LAUDERDALE, Fla. /Florida Newswire/ — PET Imaging Institute of South Florida (PIISF), a leader in the PET/CT Medical Imaging Market, announced today that they will be opening a new, dedicated, 2800 sq. ft. PET/CT facility in Fort Lauderdale. PIISF has experienced rapid growth and an expanding patient base across Broward County, creating the need to open a new facility in this underserved area. 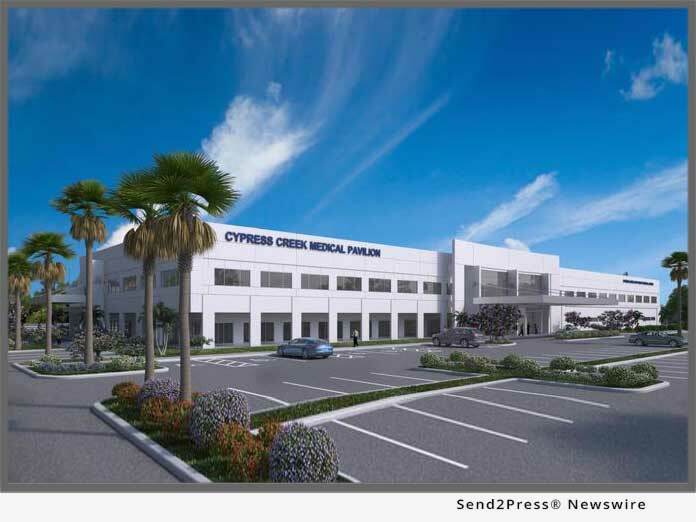 The new facility will be located in the brand new Cypress Creek Medical Pavilion, a Class-A Outpatient Medical Office building located at 2122 W. Cypress Creek Road in Fort Lauderdale. PET Imaging Institute is the only dedicated PET/CT facility in the Fort Lauderdale area equipped with the latest state-of-the-art General Electric Discovery IQ PET/CT scanner, which offers superior PET/CT image quality, shorter scan times and lower radiation exposure for patients. Now with locations in Fort Lauderdale, Hollywood and Pembroke Pines, patients can be assured they can visit a facility that is convenient for them. Location: Cypress Creek Medical Pavilion – 2122 W. Cypress Creek Road, Suite 210, Fort Lauderdale, FL. (954) 981-6668. Days/Hours: Open Monday – Saturday with flexible hours. PET Imaging Institute of South Florida has been providing PET/CT services in South Florida since 2000. Over 50,000 patient exams have been interpreted by Broward County’s leading PET/CT imaging specialists.